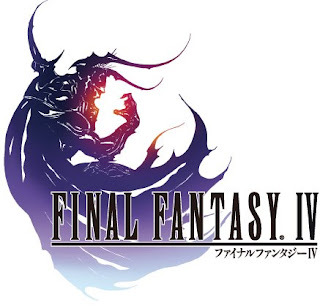 The original Final Fantasy IV (II in the US) has always been my favourite Final Fantasy game of all time. My love is so deep for this game that about 10 years ago, I made it a yearly tradition to finish this game (and Chrono Trigger too), albeit with the ROM version (thanks speed button!). But now with the advent of this remake, I guess I can continue on this tradition with the DS version. I still remember my first experience with the game. I was 9 at the time and my dad borrowed the game from his friend at work. But my brother hogged all the play time and I was relegated to the backseat, where I watched him play through the game. Even so, the diverse characters, the wacky dialogue, the epic storyline and the harmonious soundtrack all worked together and gripped me that first time I laid eyes on it. When originally released on the SNES, the difficulty was taken down a notch (dubbed Easy Mode) to try and accommodate the American audience who at the time were RPG noobs. The Japanese version was a much more difficult version which required you to rely on some semblance of strategy, opposed to the American versions hack n' slash/grinding methods. In this remake, Square-Enix smartly chose to keep the difficulty setting on the Hard Mode much like it's Japanese counterpart. The game is remade in the exact same fashion as FFIII, giving the game a complete make-over and rendering the whole bloody thing in 3D. They redid the majority of the dialogue from the SNES english version, which contained a lot of wackiness. As great as the soundtrack was before, it's even better now that's it's free from the limitations of the SNES. This is one DS game that you should play with headphones on, if only to fully hear all the music. Instead of using FMV scenes, the game opts for standard in game cut scenes, except the dialogue in these scenes are completely done with voice-overs, which are pretty great in themselves. I had a fun time with FFIV, but alas, my opinion is deeply biased in this regard. If you're a Final Fantasy fan, then you're already familiar with its greatness. People often city FFVII as their favourite in the series, and they're right to do so; that game really brought console RPG's into the mainstream. I, however as a loyalist, will still claim FFIV as my favourite. Later geeks.